We’re honestly not very surprised this is happening, but it’s probably for the best. Automotive News is reporting that Daimler AG is planning to stop selling gas-powered Smart cars in both the US and Canada later this year. However, this doesn’t mean Smart cars will be gone entirely from North America, but rather they’ll be EVs only. The tiny city cars are already available as pure EVs and the business move on Daimler’s part makes absolute sense. 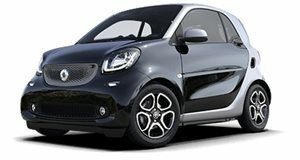 The two-seat Smart ForTwo, for example, has been experiencing declining sales, especially with today’s lower fuel costs, thus increased demand for crossovers and SUVs. US and Canadian Smart car dealerships were informed of the German automaker’s decision only yesterday. 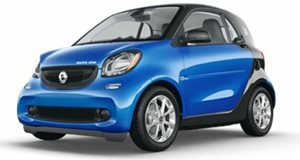 Gas-powered Smart car production for North America will end entirely in April, but dealerships will continue selling these cars until all are sold. As for other global markets, such as Europe, gas-powered Smart cars will continue. “Developments within the micro-car segment present some challenges for the current Smart product portfolio,” stated Dietmar Exler, CEO of Mercedes-Benz USA, in a letter to dealerships.